Subscribe below for promotions and new products. Handmade to order in the USA. 1 week lead time. Free returns. Our fixtures are guaranteed forever. - Raw brass components are genuine solid brass, no plating. - Matte black components are coated with an industrial grade finish called Powder Coating. - Raw brass is not lacquered and will naturally patina over time. These measurements can be modified to fit your requirements with a custom order. Handmade in the U.S.A. with top quality components. All fixtures take 5 business days to build unless noted as in stock. We do offer expedited build times at an additional fee. Shipping times are in addition to build times. Standard USA shipping service is USPS 2-3 Day Priority for small items. Larger or heavier items are typically shipped FedEx 3-4 day. We do offer expedited shipping options, just ask! We ship worldwide. International orders are in transit for 2 WEEKS, Canadian customers have the option to upgrade to Fedex which takes 1 week (plus build time) for an additional fee available at checkout. Use www.ppxtrack.com for international tracking. ATTENTION INTERNATIONAL CUSTOMERS, DUTIES ARE THE SOLE RESPONSIBILITY OF THE BUYER. DUTIES ARE NEVER PRE PAID. Free returns, no time limit on returns. Fixtures are guaranteed forever. No restocking fees. Your satisfaction is 100% guaranteed. We strive for a perfect 5 star rating. If you are unhappy with your purchase, we will happily refund or replace your item. We will do everything we can to make sure you are happy with your experience. Illuminate Vintage is a limited liability company. Yes, all of our fixtures are compatible with dimmer switches. Thanks! 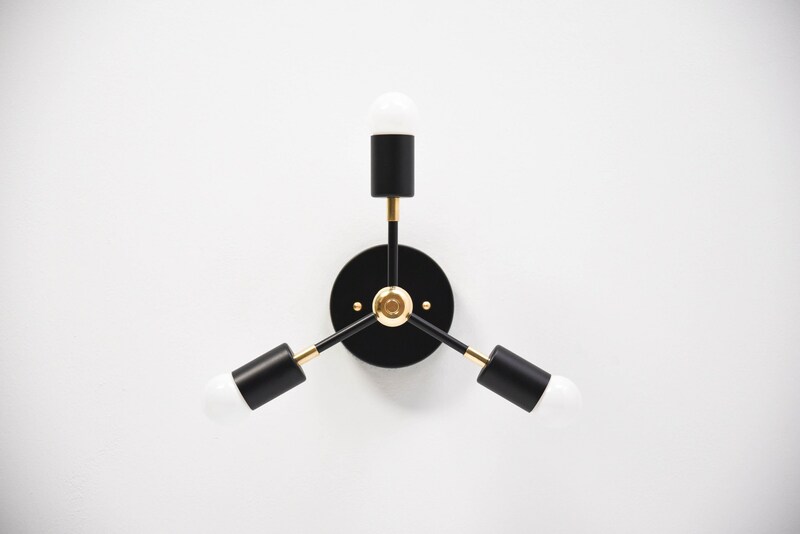 Can this fixture be made into a plug in version? Most fixtures can be made into a plug in version for an additional fee, just shoot us a message! Can you add a switch to this fixture? Most fixtures can have pull chain or push button switches added for an additional fee, just shoot us a message! Is this fixture compatible with my country's voltage? Yes, our fixtures are 110-240V compatible so they work in all countries. 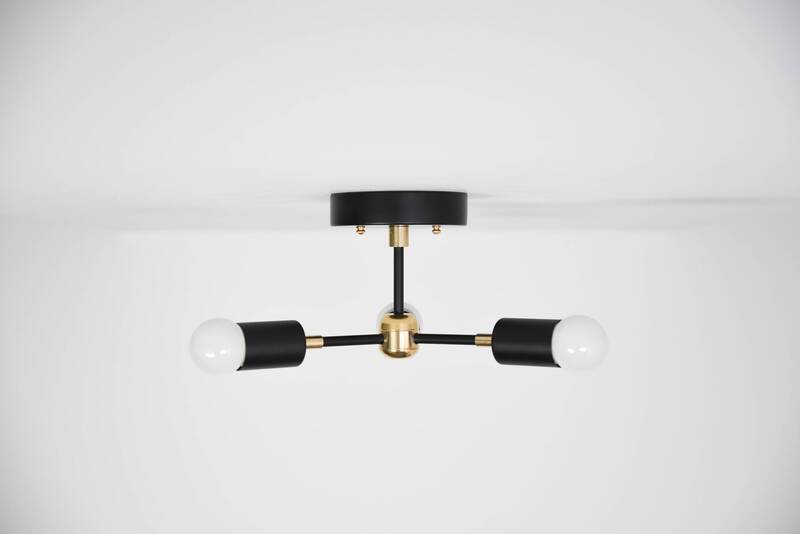 Is this fixture available in other finishes? Most fixtures can be made in raw brass, polished nickel, or matte black, just shoot us a message! The best in the business. We pay the return shipping. You get a full refund. There is no time limit so take as much time as you need to decide. You can even return previously installed fixtures. Our fixtures are guaranteed forever. 100% satisfaction guaranteed. What is UL Listed and why is it important? UL is the most respected name in product safety in the United States. Using UL's strict traceability guidelines, all components of a completed product meet or exceed UL's quality and safety standards. 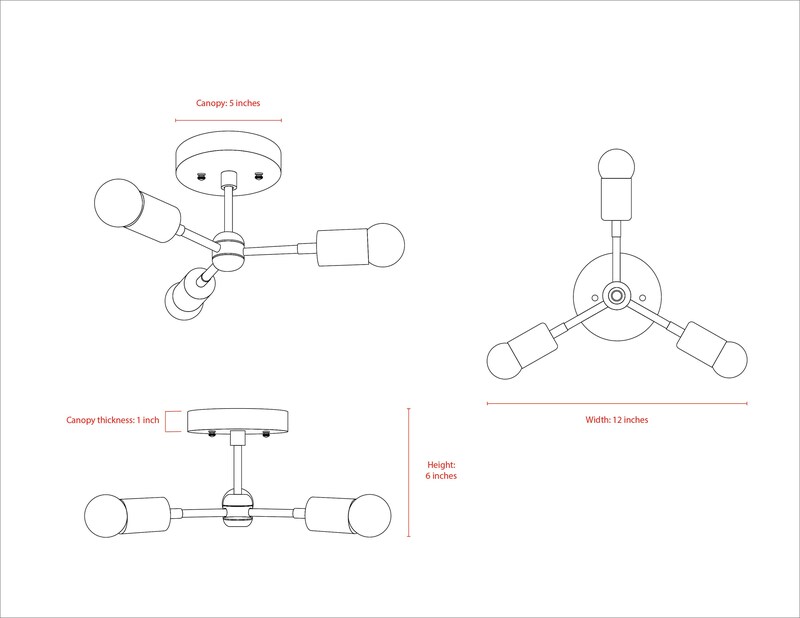 When a lighting fixture is UL Listed, it means the final product has been tested and certified to UL standards. It then gets a holographic UL label on the backside of the canopy indicating it has passed. 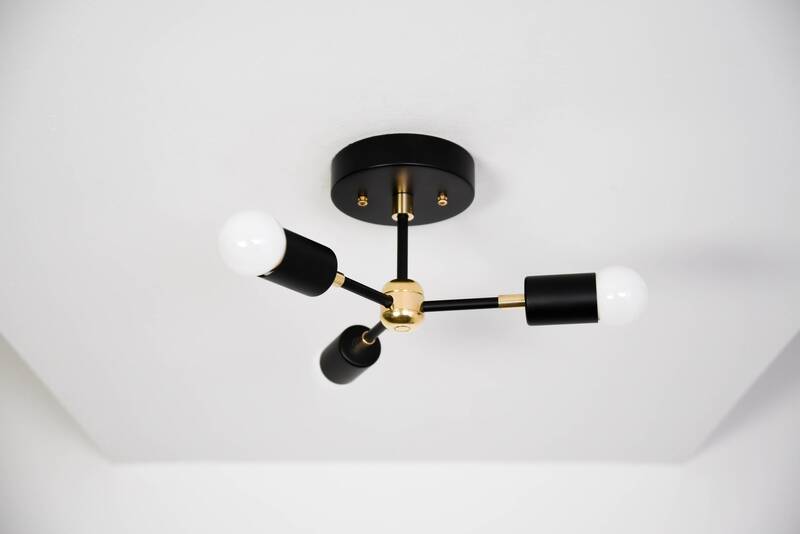 To see if an Illuminate Vintage fixture is UL Listed, look in the title or description of the listing. Note that fixtures with movable joints will not be UL Listed, but will be constructed with UL Listed electrical components. Do international customers have to pay taxes and duties? Yes, since we do not collect tax on behalf of your local government, your purchases are subject to local taxes and duties as applicable. Do you offer expedited build times? Yes, you can purchase an expedited build time option from the "Expedited Build Options" category on the left hand side of your screen. Pricing depends on your order subtotal but starts at just $50. This option puts you to the front of the build queue and typically reduces build times from the standard one week down to just 1-2 business days if parts are in stock. This option does not change the shipping speed, which is generally 3-4 business days for USA customers, and 2 weeks for international customers. WARNING: This product can expose you to chemicals including nickel which is known to the State of California to cause cancer and birth defects or other reproductive harm. For more information, visit www.p65warnings.ca.gov/. Wash hands after handling. I love my new light. The seller responded fully to my questions and this was shipped quickly. I had to pay duty on it, which I knew was a possibility, but Canadian buyers should be aware of this. I highly recommend this product. Well made and very reasonably priced. Seller is very responsive and helpful. Will definitely buy again (purchased 3 different styles of fixtures from same vendor and all 3 are very solidly built and finished and a tremendous value).